After months of hard work cleaning and preparing the spaces that had formerly occupied the children peer group of the parish, the hall of the permanent exhibition has been renovated and can be already visited by pilgrims at the scheduled times shown in the temple’s atrium. It is a long gallery with four rooms leading to the temple stands, where you will find various memorabilia that have been gradually restored and carefully prepared. A chamber presided by the banner of the Brotherhood of Our Lady of Mercy, which also has pictures of various objects and events of the history of the Basilica or the Brotherhood, as well as various offerings to the Virgin. Another room - dedicated to San Pedro Nolasco - is presided by two large polychrome carvings representing two slaves, which were found in the stands of the temple and which have also been carefully restored along with a photograph of the altarpiece, where they had been placed in the past. In the first room you can find the repaired old clock of the bell tower, which traditionally was found in the office of the Board of the Brotherhood, where you can enjoy a magnificent audiovisual presentation developed with the latest technologies that drones provide today. We’ll find a considerable number of significant and attractive offerings as well as pictures, posters of the festivities, old prints, joys of the Virgin, commemorative plaques etc. Truly interesting. Everything has been possible thanks to constant efforts and discreet generosity. You can see more details on the information that you can follow from here. In 1888, the city of Barcelona lived a time of economic prosperity and cultural, artistic and industrial expansion were reflected in the celebration of the Universal Exhibition. On 21 October the same year, the Virgin of Mercy was canonically crowned, and the Barcelona faithful expressed their love and gratitude to the patron saint of a generous way: over 1,700 precious stones and thousands of pesetas to offer you a new worthy crown, a scepter and a halo. Crowns - for her and for the boy drew J.Planas the jeweler and Jacinto Costa made with gold, silver and precious and semi-precious stones. 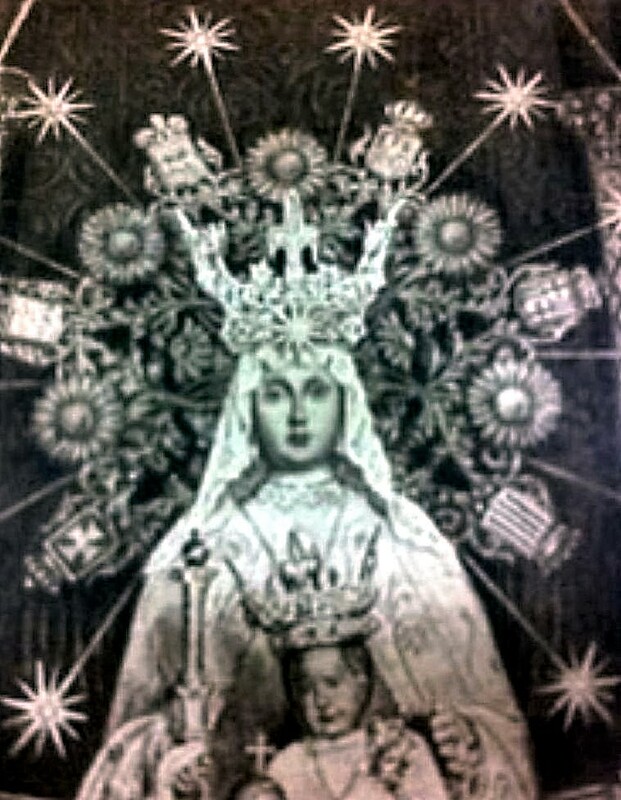 In 1918, to commemorate the 7th anniversary of the descent of the Virgin in Barcelona, ​​Bishop Enrique Reig Casanova gives the Virgin a new crown of gilded silver, a new scepter and a new aura. The vicissitudes of history - specifically the destruction of the temple in 1936 and plundering the contents of the fourth of the jewels of the Virgen de la Merced have prevented us from knowing what these present. 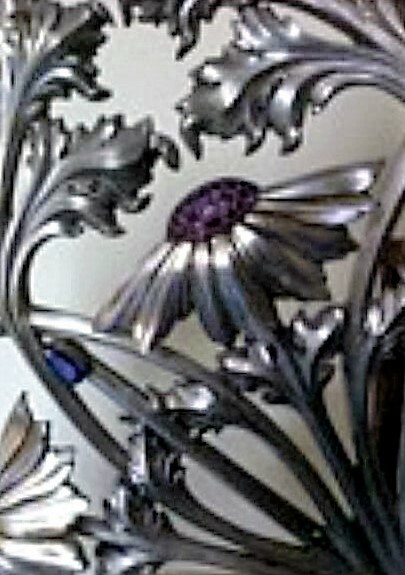 Mn.Jordi Farré and Wall, former rector of the basilica, restored a silver halo where some stones are embedded (the quality of which is to analyze) a couple of times decorated for Christmas baby Jesus and then fell into disuse. We had just not find the meaning and origin of this beautiful piece of jewelry until recently, gathering and studying various objects scattered around the different departments of the building, we found elements that allow to reconstruct history unpublished pieces of the basilica. This is the case at hand: the aura given by Bishop Enrique Reig the Virgin on the occasion of the 7th anniversary, and the appointment of minor basilica by Pope Benedict XV. Carefully observing an image (photography, 1929) of the Virgin with Corona and 1888, behind a halo of flowers, quickly we identified the Mn restored. I farré. Moreover, we see that, among flower and grain, there is a shield and each of them is different. All have the same shape and size, and crowned with their respective crown. There are six, from left to right: the Cathedral of Barcelona; the Bishop (Enrique Reig, 1914-1920); the Pope (Benedict XV, 1914-1922); Royal shield of the House of Bourbon; the shield of the city of Barcelona and the last on the right, the four stripes of Catalonia. In a showcase of the chapel he has been exposed for many years - not knowing the origin-two enamelled plates mounted in silver, with different shields: the papal and papal. Shields and cross Barcelona Cathedral of Barcelona in a safe place two similar elements in its structure were kept. To look closely at each of these gems I understand that the four awards were decorative part of that aura. Unfortunately they are missing two important parts: the shield of Catalonia and Spain. 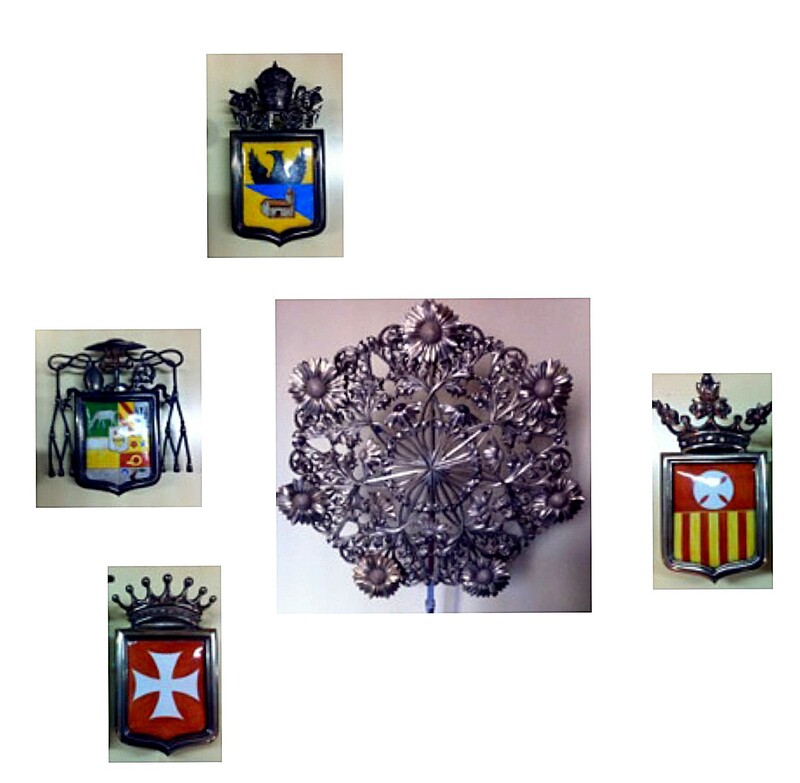 While the image that serves as a reference see the shield of the City of Barcelona, ​​we have the de la Merced, which is not seen in the picture. What we do not know is how and why the jewel fell apart, as a part is preserved, nor where are the missing parts and if there have been other interventions, during the passage of time. All this is a funny story, waiting to finish it later.